29th May, 2016, Mumbai: If the Development Agreement is well drafted, then flat-owners are safe, right? Well-drafted contract documents protect the flat-owners if the builders don’t honour the contract, right? NO, WRONG! A well-drafted agreement doesn’t give you automatic protection; it gives you the LEGAL RIGHT TO FIGHT to dismiss or penalize a non-performing builder… but you will definitely have to wage a legal battle, and your society will be your enemy, not your supporter. Why? REASON NO. 1: NO SUO MOTU ENFORCEMENT. Law enforcement agencies and courts are not required to actsuo motu to defend your individual legal rights. Therefore, you have to go to great lengths to convince enforcement agencies and/or courts that (a) you have a certain right under the contractual agreement (b) your right has been violated and (c) you (and not just your society) are a party to the contract. Each of these points have to be proved by you, otherwise your complaint is summarily dismissed. Enforcement agencies and courts are not sympathetic to you; at best, they are indifferent, and at worst, they are biased in favour of builders. REASON NO. 2: FLAT OWNER IS NOT A PARTY IN DEVELOPMENT AGREEMENT. You, the flat-owner, are not the “society” within the meaning of the law. Only the society i.e. the managing committee and more particularly, the office-bearers, have authority to enforce the contract signed with the builder, because the society has signed the contract with the builder. REASON NO. 3: SOCIETY IS THE LEGAL OWNER OF YOUR FLAT. The law does not recognize you as the “owner” of your own flat; the cooperative housing society is the collective owner of the entire building and compound, and you are only enjoying your flat by virtue of being a member. Therefore, in the eyes of the law, you generally have no “right” to go to court for the enforcement of a contract between the society and the builder. REASON NO. 4: POLITICS IS NECESSARY. You can only derive your “legal right” with the support of the society. Therefore, you should earn a “political right” to speak and argue. If you are alone or in a tiny minority, or if you are easily silenced, then you have no political right, even if what you say is 100% true. To get justice, you must gather support from other members. If the society’s office-bearers are unwilling to impose penalties, invoke the bank guarantee, or cancel the builder’s contract, then you, the ordinary members, are mostly powerless. Getting the builder dismissed by the society is a political battle rather than just a judicial battle. This battle has to be fought in general-body meetings, and in the minds and hearts of the office-bearers and general body members. REASON NO. 5: REDEVELOPMENT IS INHERENTLY UNSAFE. A housing society entering redevelopment is like an out-of-control passenger bus with an alcholic driver drinking vodka. Even if everything is perfect at the start of the journey, things can go rapidly downhill at any turn. As a passenger, you may clearly see things going wrong, but you are not in a position to turn the steering wheel or press the brakes. There are many lessons to be learned from the experience of Kundan Apartment, a small building with 15 members in Jogeshwari East, stuck since 2010 due to non-performance of Tanna Developers. Tanna Developers (or Tanna Realtors as per this website) is a partnership firm headed by managing partner Pathik Tanna and represented by Chartered Accountant Jignesh Tanna. Without verification of Tanna Developers’ credentials or following 79A Guidelines, the society appointed Tanna Developers in 2010. Tanna applied to MCGM’s Building Proposal Department and got the IOD (Intimation Of Disapproval) in October 2010. And after that, the builder just froze. No actions whatsoever. Zero. So, five of the 15 flat owners, in view of the builders’ continuous non-performance over six years, want to oust them. 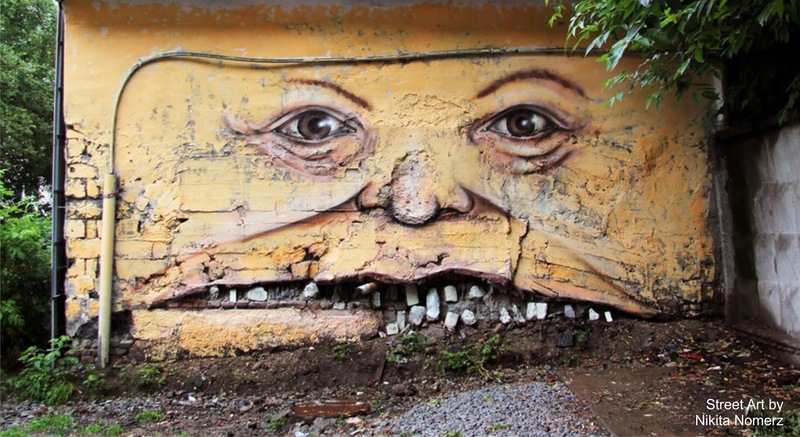 Redevelopment is inherently painful, like getting your teeth pulled without anesthesia! 2) Stamped and registered DA upholds these clauses. DA confirms that terms and conditions are “more particularly recorded in the Letter Of Intent and the Memorandum Of Understanding”. Read para Y of DA . 3) DA says that “Society… will hand over vacant and peaceful possession of all their respective tenements to the developers… within 15 days from the date of Commencement Certificate.” Read para 3A of DA. 4) Bank guarantee mentioned in DA is Rs 50 lakhs – less than market price of even one flat. DA says that bank guarantee can be invoked by society “on demand without demur and enforceable on the certificate of the said society to the concerned bankers that the developers have not completed the construction within the total period of 24 months…” Read para 23 of DA. a) The society has the upper hand and the contract is subject to a tight deadline. The clauses clarify that Tanna may suffer major losses due to dismissal, forfeiting the cost of TDR, permissions, sanctioned plans, incomplete construction etc. Tanna will not be entitled to claim anything from the society. b) The 18-month deadline for redevelopment is repeatedly stressed. The bank guarantee can be revoked if the builder does not complete the building in 24 months. c) DA specifies that society members will give vacant possession only after the Commencement Certificate (CC) is received.So flat owners are still in possession of their own houses – a huge relief. a) Development Agreement defines the deadline as 18 months from the date of “IOD-CC”. The loophole is that IOD-CC is not a single certificate of permission, IOD (Intimation Of Disapproval) and CC (Commencement Certificate) are two separate permissions. The builder is required to fulfill dozens of conditions specified in the IOD in order to get CC. Tanna Developers, who failed to perform the necessary actions to procure the commencement certificate, can argue that because they did not get CC, the 18-month clock has not started ticking till date. Counter-argument no. 1: Whose duty is it to fulfill the IOD conditions and procure the CC? The builder’s. The builders’ non-performance has resulted in their not getting CC… and therefore, they cannot use non-arrival of CC as an excuse. Counter-argument no. 2: The validity period of the IOD is two years. Tanna Developers was supposed to get CC before the IOD expired on 18th October 2012. He did not get CC, but if we take the last date of IOD validity, and count 18 months from there, the deadline for completing the redevelopment would expires in April 2014. Since they hadn’t even commenced redevelopment on that date, they breached the contract, and LOI automatically stands withdrawn. But only five of the society’s 15 members are speaking up against the builders. As a whole, the society has no political will to hold the builders accountable! b) The society cannot invoke the bank guarantee because Tanna Developers have not furnished the bank guarantee till date, six years after signing the agreement. Far from telling him to furnish the amount, the managing committee held a meeting in 2015 where it agreed to the builder’s demand to reduce the bank guarantee to Rs 21 lakhs! Unless the society i.e. managing committee, certifies that the builder has failed to meet contractual deadlines, nobody else has the full legal authority to say so. Thus, the Tanna Developers may go on delaying with the managing committee’s blessings! BUILDER HAS HIJACKED SOCIETY’S RECORDS! Three of the five members opposing the builder were briefly appointed by the Deputy Registrar as the Authorized Committee. Despite their best efforts, the missing papers did not emerge. Within three months, elections were ordered to be held, and the former managing committee is back in the driver’s saddle on current date. So, without the society’s essential records, how to go to court? The society and its members are handicapped. While they were in the Authorized Committee, the dissenting members served Tanna Developers a Legal Notice that pointed out that as per the clauses of the DA, LOI etc, their contract automatically lapsed in April 2014, upon expiry of the maximum allowable period within which the construction was to be completed. It can of course be argued that the Authorized Committee is not the elected managing committee of the society, and cannot serve such a notice. But it can be argued on the other side that the words “On failure, the Letter Of Intent stand withdrawn and the Developer shall not be entitled to claim anything from Society” have an automatic effect, and therefore, no fresh resolution or even legal notice of the society was needed to give effect to these words. At present, neither side is talking to the other. In this atmosphere of mistrust and vengefulness, the residents of Kundan Apartment are anxiously awaiting another monsoon that will drench its cracked RCC beams, columns and plaster. The elected managing committee, which covers the structure with tarpaulin in some monsoons, seems inclined to allow the building to get thoroughly soaked this year, as if to say, “If you don’t want Tanna Developers, we can all go to hell”. The sad story of Kundan Apartment will not end until the society pulls itself from the grip of this builder, unites its 15 members and calls for fresh tenders from its redevelopment. Freedom of expression is protected under the Indian constitution and international treaties to which India is a party. Politicians, pundits, activists, and the general public engage in vigorous debate through newspapers, television, and the Internet, including social media. Successive governments have made commitments to protect freedom of expression. “Our democracy will not sustain if we can’t guarantee freedom of speech and expression,” Prime Minister Narendra Modi said in June 2014, after a month in office. Indeed, free speech is so ingrained that Amartya Sen’s 2005 book, The Argumentative Indian, remains as relevant today as ever. Yet Indian governments at both the national and state level do not always share these values, passing laws and taking harsh actions to criminalize peaceful expression. The government uses draconian laws such as the sedition provisions of the penal code, the criminal defamation law, and laws dealing with hate speech to silence dissent. These laws are vaguely worded, overly broad, and prone to misuse, and have been repeatedly used for political purposes against critics at the national and state level. While some prosecutions, in the end, have been dismissed or abandoned, many people who have engaged in nothing more than peaceful speech have been arrested, held in pre-trial detention, and subjected to expensive criminal trials. Fear of such actions, combined with uncertainty as to how the statutes will be applied, leads others to engage in self-censorship. In many cases, successive Indian governments have failed to prevent local officials and private actors from abusing laws criminalizing expression to harass individuals expressing minority views, or to protect such speakers against violent attacks by extremist groups. Too often, it has instead given in to interest groups who, for politically motivated reasons, say they are offended by a certain book, film, or work of art. The authorities then justify restrictions on expression as necessary to protect public order, citing risks of violent protests and communal violence. While there are circumstances in which speech can cross the line into inciting violence and should result in legal action, too often the authorities, particularly at the state level, misuse or allow the misuse of criminal laws as a way to silence critical or minority voices. This report details how the criminal law is used to limit peaceful expression in India. It documents examples of the ways in which vague or overbroad laws are used to stifle political dissent, harass journalists, restrict activities by nongovernmental organizations, arbitrarily block Internet sites or take down content, and target religious minorities and marginalized communities, such as Dalits. The report identifies laws that should be repealed or amended to bring them into line with international law and India’s treaty commitments. These laws have been misused, in many cases in defiance of Supreme Court rulings or advisories clarifying their scope. For example, in 1962, the Supreme Court ruled that speech or action constitutes sedition only if it incites or tends to incite disorder or violence. Yet various state governments continue to charge people with sedition even when that standard is not met. While India’s courts have generally protected freedom of expression, their record is uneven. Some lower courts continue to issue poorly reasoned, speech-limiting decisions, and the Supreme Court, while often a forceful defender of freedom of expression, has at times been inconsistent, leaving lower courts to choose which precedent to emphasize. This lack of consistency has contributed to an inconsistent terrain of free speech rights and left the door open to continued use of the law by local officials and interest groups to harass and intimidate unpopular and dissenting opinions. The problem in India is not that the constitution does not guarantee free speech, but that it is easy to silence free speech because of a combination of overbroad laws, an inefficient criminal justice system, and the aforementioned lack of jurisprudential consistency. India’s legal system is infamous for being clogged and overwhelmed, leading to long and expensive delays that can discourage even the innocent from fighting for their right to free speech. 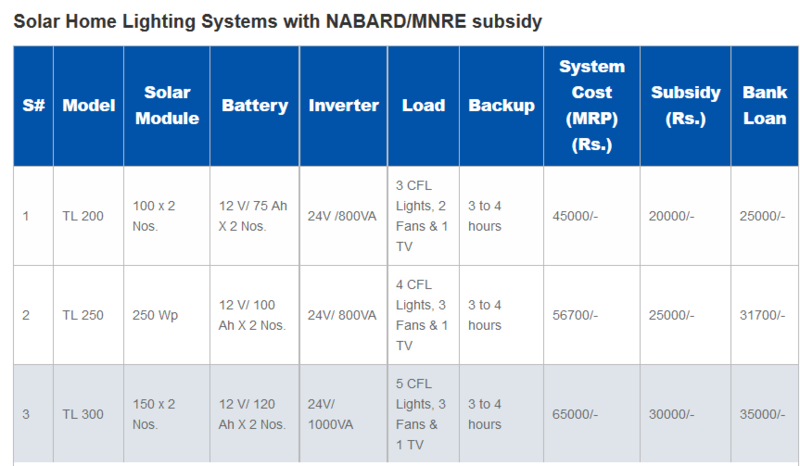 I have always received many queries from my readers regarding the availability of solar subsidy in India. Though solar energy prices are becoming comparable to the commercial electricity prices in many states of India, it still commands a large upfront spend initially. The government of India had set up JNNSM (Jawaharlal Nehru National Solar Mission) in January 2010 to promote solar energy. In this article I am covering subsidies for solar rooftop panels, solar water pump sets and solar lights. Hope it will help the readers to some extent. The Government will provide a 30% capital subsidy for rooftop solar installations to residential, government, social and institutional segments only. This subsidy is not available for commercial and industrial customers because they can avail other benefits like accelerated depreciation, tax holidays, excise duty exemptions. India increased its rooftop budget by a significant 730% in January this year. The subsidy level could reach as far as 70% for states such as Sikkim, Uttarakhand, Himachal Pradesh, Jammu & Kashmir, Lakshadweep and Andaman & Nicobar. These subsidies will be made available through various state government schemes, Solar Energy Corporation of India (SECI) and other financial institutions (like State Bank of India). It is a much needed step by the Government to promote rooftop solar installations in India. The Government also provides a 40% subsidy on capital costs of a solar PV system (SPV), subject to a maximum amount. For availing subsidy on a solar system, it is important to select a supplier who is approved by the Ministry of New and Renewable Energy (MNRE). Only the specified PV systems are eligible for the subsidy. 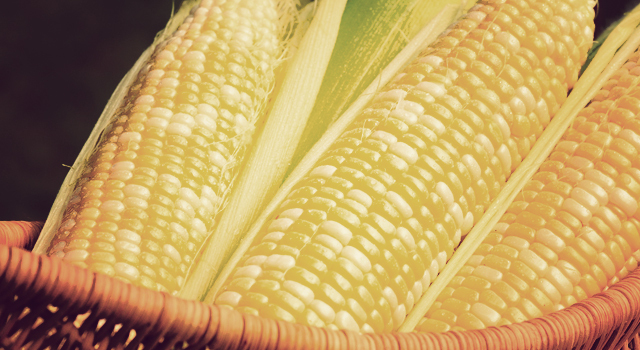 This subsidy scheme is available through NABARD. The subsidy scheme for solar water pumps differs from state to state. In Rajasthan a farmer typically pays just 14% of the cost of a solar water pump. 30% subsidy is provided under JNNSM scheme and upto 56% is provided by Rashtriya Krishi Vikas Yojana and MNRE. The prices of these pump sets are also coming down each year. The Indian state of Kerala will also distribute 1,380 pumps of 3HP capacity at a subsidy of 30%-35%. Since most part of the cost is being borne by the government as subsidy, it goes without saying that there would be red-tapism involved in India. Since the funds are limited, a limited number of these solar products are being given out to the farmers/ customers. It is a process of selection by the government whom they wish to grant subsidy, hence it does not seem to be a very lucrative offer in a large populated country like India. All being said, the government of India is trying hard to promote solar in India, however I wish the process was a little more transparent. Please feel free to share your story of availing subsidy from the government, or add on points that have not been covered in this article in the comments section. Or you can also email us at greenworldinvestor@gmail.com. This way the community at large will benefit. Both the PAN card as well as the Aadhar card are unique identification cards that serve as proof of identity that are necessary for registration and verification purposes. The Process to link your Aadhar number with PAN numner or Income Tax Return has been announced by Income Tax Department on July 13, 2015. Income Tax Department(ITR) has given the facility to link Permanent Account Number (PAN) with the unique identification Number or Aadhar number. It helps you to eliminate the process of sending ITR – V to CPC(Centralised Processing Centre) in Bangalore. 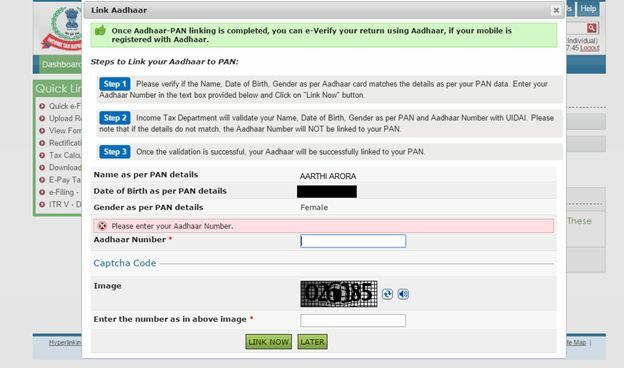 Although PAN Card will be linked with Aadhar number only , if your personal details like Name, Gender, Date of Birth matches with Aadhar data as per PAN Data. Income Tax Department will validate your name, date of birth, gender as per PAN and Aadhar Number with Centralized database of Unique Identification Authority of India(UIDAI). Please note that if the details do not match, the Aadhar number will not be linked to your PAN. After the completion of Aadhar and PAN number linking process, you can e-verify your return if your mobile number is registered with UIDAI. 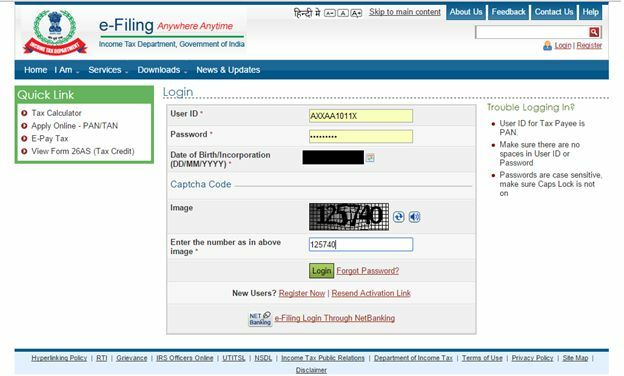 Login to income tax e-Filing portal. When you logged into the e-filling portal, a pop up window appears on your screen to link your Aadhar Number. If the pop up window will not show automatically, you can go to profile settings under the main menu and click on the link that says Aadhar linked to PAN. Before entering the Aadhar card , be sure to verify your Name, Gender, Date of Birth should matches with PAN Card details. Income tax department will validate all your details and then after cross verifying all the details, enter your Aadhar number, text code. Note: Don’t have Aadhar Card. Check guide on How to get Aadhar Card. At last, Click on Link Now. After validation, Aadhar number will be linked to your PAN number. Note: Aadhar will be linked only if the details match. 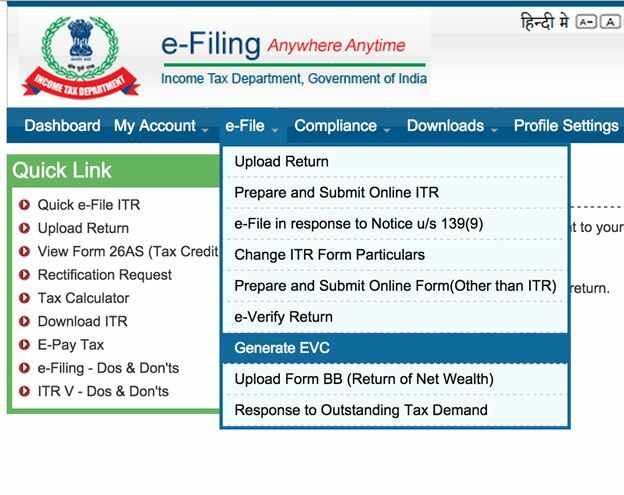 How to generate EVC through Income Tax site? Go to e-File tab and select “Generate EVC”. Note: There are two ways to generate EVC(Electronic verification Code). One is via your Netbanking account or second is via your registered email address/phone number. These steps works for second method. Enter the EVC received on your registered email address/mobile number. Click on e-verify return under the E-file tab. There will be four options. Choose first option: “I already have an EVC and I would like to Submit EVC”. Provide the EVC in the text box. Click Submit. Download the Acknowledgement document. Your e-filing is complete. No further action is required from your end now. Note: In future, Aadhar card not only will be useful but also mandatory to avail benefits of various government schemes and services. I recommend you to check numerous other benefits of having Aadhar Card. Judiciary should also come under CPA (Consumer Protection Act). “Every body must READ and SHARE this article. –In the Salman Khan hit and run case the LOWER court judge and the HIGH court judge had the SAME pieces of EVIDENCE to deal with. –They also had the SAME Indian LAW to abide by and most probably they had similar education qualifications too. –Yet they INTERPRETED the situation in absolutely CONTRASTING manner and gave verdicts which are poles apart. –Just imagine what would have happened if a YOUNG doctor sitting in a GOVERNMENT hospital doctor catering to hundreds of patients in a day had diagnosed a celebrity patient presenting with gastric discomfort as GASTRITIS and another hospital had LATER on diagnosed that patient to be having a MYOCARDIAL INFARCTION. I am sure that doctor would have been screwed and jailed. unlike a DOCTOR who is expected to diagnose and treat everything in the BLINK of an eye. –If a doctor making a wrong diagnosis can be prosecuted shouldn’t a judge giving wrong verdicts meet the same fate? –If hospitals can be sued for not admitting poor patients shouldn’t the courts be prosecuted for having lacs of impending cases? –Is it not appalling that a judge taking 12 years to give a wrong verdict gets away unhurt and a doctor making one mistake is screwed by our legal system? –Doctors practice medicine which is more of an art than an exact science whereas law is absolutely 100% manmade, yet doctors are expected to be right on all occasions. –If doctors and hospitals have a duty towards the society then does the judiciary not have a responsibility towards the socitey. –If there is so much of hue and cry in media about doctors and hospitals charging huge sums from patients then why do we not ever hear a word on the fee that lawyers like Manu singhvi and Jethmalani charge for their court appearances. –Government often talks about putting a capping on the fees doctors charge for various procedures but their is no talk of putting a capping on the fee that these lawyers charge to get justice for their clients. –If health is a citizen’s right then so is justice. Shall we take our minds off worshipping false heroes & think?